Here law firm Womble Bond Dickinson takes a look at the use of artificial intelligence in the retail sector and how this is helping improve efficiency and the shopping experience. There may come a time where consumers could be under almost constant surveillance by retailers in terms of what they're looking at, buying and turning down – providing an insight into consumer preferences. Left unregulated, this could begin to go beyond ethical and fair use of personal data, but regulated in the right way AI will surely revolutionise the retail platform for consumers, retailers and sector suppliers. In retail, AI is most widely used in the form of "self-learning algorithms". The algorithm usually has a single purpose, such as recommending the best products for each consumer. It "self-learns", evolving from the outcomes and responses to recommendations, and adapts the algorithm for better recommendations in the future. Ultimately, this means consumer data is constantly collected and updated so that preferences can be better identified and met. Stitch Fix uses this form of AI to match your personal style and lifestyle with the clothing suggestions they make. Consumers answer a number of questions to give Stitch Fix an impression of their preferences, and they're sent clothing on the basis of those answers. Insights, feedback and returns from consumers provide Stitch Fix with further data, which updates the algorithm. The process repeats so that the algorithm continues to learn about your preferences, and approving recommendations for the future. Stitch Fix also requests information about consumers' life events, such as starting a new job or preparing for a special day. Self-learning algorithms can identify a shift in "state", and help deliver the most relevant items to the consumer for that stage. Eric Colson, the chief algorithms officer for Stitch Fix, believes that the technology is already showing its worth by increasing revenue, decreasing costs, and boosting consumer satisfaction. One of the more obvious ways in which AI is being used by retailers is by developing chatbots to "converse" with consumers as an online helpline. North Face use a chatbot (powered by IBM's Watson system) on the company's US website, which starts by asking when and where you envisage using their clothing, and the activities it will be used for – hiking in Northumberland in March? Based on the location, expected weather forecast and the consumer's gender, and further questions (item of clothing and style preferences etc. ), six options are generated, saving the consumer time scrolling through products that don't match their needs. Consumer feedback has been positive: the platform had a 60 percent click-through rate to try product recommendations and the vast majority of users said they would use it again. The system is constantly learning, gaining insights into what works based on its "success history" and will improve recommendations by learning. Retailers also use AI to improve marketing communications, aiming to reduce the amount of irrelevant and unwanted marketing that just ends up being discarded or left unread by consumers, while effectively targeting consumers with relevant material. London based start-up, Ometria is seeking to do just this. Ometria is developing software that allows retailers to gather information about consumers: purchase history; interaction with marketing; and returns history - to build a profile about that particular consumer. Based on the insights learnt about the consumer, Ometria will help retailers understand what individual consumers are most likely to be interested in, predict future consumer behaviour and make personal recommendations and offers in marketing campaigns based on consumer profiles. This is partly geared towards increasing consumer engagement, together with improving consumer experience. If communications can be targeted based on preferences, consumers will stop receiving marketing that is next to useless to them. If consumers don't know exactly what they're looking for, personalised marketing may even start to create wants that they weren't even aware of. AI is currently focused on online shopping experience. Very little has been introduced so far for face-to-face shopping, but the examples that have already been introduced are certainly exciting additions in the AI world. In some stores, smart mirrors are being developed and used to help nudge consumers towards buying products. Charlotte Tilbury's "Magic Mirror" allows a consumer to virtually experience 10 different makeup styles. Then, based on which look the consumer likes the most, they can buy the makeup used to create that image. Specsavers similarly use an app allowing people to virtually experience how different styles of glasses will look on them before they buy them. Panasonic have gone further and are developing a mirror that scans the consumer's face, analyses areas that require some attention, such as areas of pores or sun damaged skin, and prints a pad containing a combination of foundation and concealer to help cover up the blemishes. The company hopes that after further development, it can be used to cover up tattoos and even scar tissue. Many of the future uses envisaged for AI in retail will also focus on face to face shopping. Shops may start to introduce robotic shop assistants, and one area that developers of AI are looking to tackle centres on problems around stock shortages, incorrect pricing of stock and stock which just isn't in the right place. Robots which can audit store shelves to provide inventory analytics are being developed and trialled, such as Simbe Robotics’ "Tally". Tally moves around the shop floor, planning its route in real time to make sure it doesn't bump into other people using the store and scanning the shelves as it does so. It can conduct a stock audit far more efficiently and accurately than humans can, checking up to 30,000 products an hour at an accuracy of 97%, freeing up human shop assistants to help provide a better service for consumers. Undoubtedly due to the constant interaction with consumers, the primary concern for the retail sector in terms of AI and its regulation is the use and processing of data. Self-learning algorithms used to build profiles and make recommendations to consumers feed on "big data", including personal data. Without big data, the algorithms would not work. However, the vast collection of diverse data sets will contain personal data and the use of such data will be governed by the GDPR. The GDPR restricts how algorithms could be used to automatically process personal data to build profiles about people. Where automated decision making and profiling occurs, the fact that a person's data is being used to profile them must be disclosed to the person, together with the information about the logic involved and the intended results of the processing. Individuals also have a right not to be subject to a decision based solely on automated processing, however, this right will not apply in certain prescribed circumstances such as where the individual has given their explicit consent. Retailers will also need to comply with the rules on direct marketing to ensure that their touch points with consumers do not fall foul of the law. While this could create conflicts between developing algorithms, targeted efficient consumer marketing and protecting personal data, tighter controls on retailers' ability to gather data, and what they can do with that data is vital to ensure privacy is not sacrificed for explosive growth in AI development. Regulation may be an initial stumbling block for the development and implementation of effective AI throughout the retail sector, but it is required to ensure that consumers' privacy is protected. Is there anything else in the pipeline? Other than data protection and privacy law, concrete regulation concerning AI is lacking. 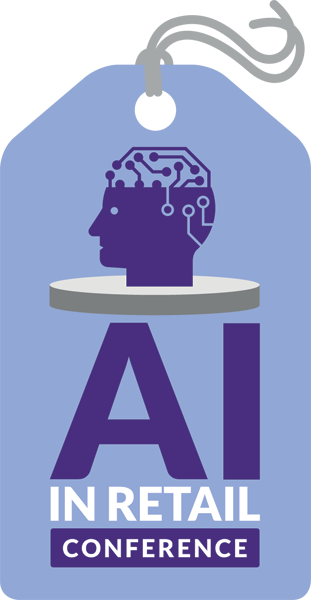 The House of Lords Select Committee on Artificial Intelligence reported on 16 April 2018 that there is no immediate need for blanket AI-specific regulation, minimising the numbers of barriers AI developers need to overcome to implement systems, for now. The report also recommended that it was for the newly established Government Office for AI, alongside the world's first Centre for Data Ethics and Innovation, to consider whether any gaps need plugging by focused regulation. Transparency and fairness of processing are at the forefront of considerations for how the use of algorithms to analyse how data about people might be regulated. In light of the Cambridge Analytica scandal, the government is keen to avoid a repeat of data being used without individuals' consent to manipulate and sway minds. Retailers will have to be careful to ensure they do not use consumers' data beyond the legitimate purposes it was gathered for. Whilst no certain regulation exists yet for AI, the government envisages a regulatory framework that will ensure that businesses use algorithms for the benefit of all, and not just for their own gain. Interested in how Artificial Intelligence will increasingly be used in retail? 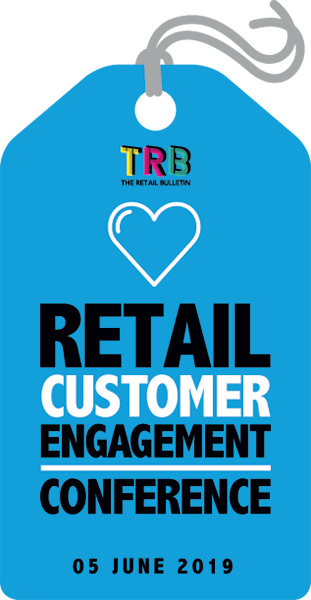 Then why not attend the Retail Bulletin AI in Retail Conference which will be held on 16 October 2019. If you are a retailer, use the discount code RETAILER50 to secure your half price early bird rate.